Buying a new vehicle doesn’t have to mean completely blowing all of your hard-earned savings, but there’s no getting away from the fact that it tends to be a significant investment – especially if you happen to want a particularly prestigious car. As we all know, one of the very best ways to keep costs down when purchasing a car is to opt for a used vehicle instead of one that’s straight out of the factory. And with many of the second-hand cars for sale being of such high quality, there’s absolutely no reason not to seriously consider going for a used vehicle rather than a brand new one the next time you decide that it’s time to replace your existing car. However, the one thing that you should always keep in mind during the process is that it’s extremely important for those people who are considering purchasing a second-hand vehicle to ensure that they choose to work with the most reputable and professional car dealers possible. Second-hand cars that aren’t purchased from recognized, established suppliers can sometimes have hidden faults that only become apparent after the purchase has been made. So to save yourself time, money and hassle, it’s always important to make sure that you can have maximum confidence in the seller when buying a used vehicle. Even though buying a used car is an extremely effective way of keeping your costs down, it can sometimes still be a pretty hefty investment. But that doesn’t mean that you should have to put off the purchase and settle for continuing to use an old and/or unreliable vehicle until you’ve saved up even more money. In fact, with the help of car financing, you don’t have to worry about making major outlays at all. There are various financing options available to prospective buyers, and here at House of Cars we’re always happy to work closely with our customers to gain a thorough understanding of their particular situations, needs and preferences. This allows us to recommend highly relevant financing solutions which make it possible for our customers to access the funds they need to purchase their dream cars as swiftly and easily as possible. At House of Cars, it’s not just our outstanding Financing Department that has earned us our reputation for excellence. When it comes to finding top-quality second-hand cars for sale, Calgary locals can rest assured that we sell only the very best options available on the local market. Our highly experienced team of experts carefully inspect each and every vehicle we sell in order to ensure that it meets our stringent standards of safety, functionality, mechanics and appearance. Plus, we offer comprehensive warranty options to provide our customers with maximum peace of mind. 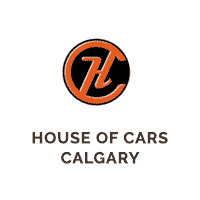 So when they choose us for second-hand cars for sale, Calgary motorists can rest assured they’re getting a top-quality, reliable vehicle that will serve them well in the future. Contact us today to find out more information or visit us at one of our locations across the Calgary region.